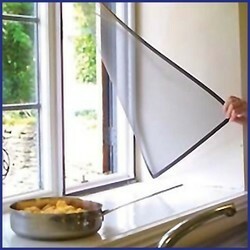 Our product range includes a wide range of insect screen. Available in durable support, these Insect Screen are made available in accurate dimensions in different size choices as per the specific requirements of customers. Providing for superior protection from unwanted mosquito bites, these screens are also designed in a way that ensures no obstruction to the flow of fresh air and outside visibility. Being suitable to be installed on windows and doors, it provides for superior insect protection, enhanced light transmission air flow and long lasting usage through its strong and durable finish. We can offer these in different color choices to pick from.